Receive Bookkeeping training at home. You'll get the support you need while learning at your own pace with the Penn Foster Career School Bookkeeping Program. Preparing a balance sheet and income statement. Assets, liabilities, and owner’s equity. The basics of the general journal, ledger, and the T account. Revenue, expenses, and trial balance. Payroll accounting, accounting systems, and wholesale accounting. And you’ll learn it all at home – no classroom needed! This Penn Foster distance learning program is like having your own personal Bookkeeping School! Start a challenging, moneymaking career in a growing field. Earn a great salary and benefits in a growing field. Work for a bank, or an established business. Handle payroll, record transactions, and produce financial statements. 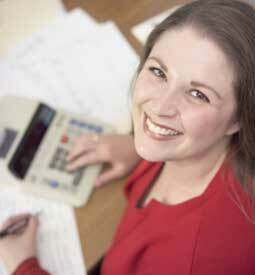 Remember – As new businesses open, new job opportunities for Bookkeepers are being created. Bookkeepers enjoy challenging, varied assignments, respect and prestige, and are considered valuable assets by the companies they work for. All the books and learning aids you need. Get more information today, and in as little as six months from enrollment – you can be a professional Bookkeeper!